G turned I-don’t-think-I’m-allowed-to-say on Saturday and although he’s not too crazy about adding another year to his age, Kate and I are birthday people and nothing was going to stop us from celebrating his day! Usually I ignore him and get my shop on, but we’re currently saving our nickels and dimes for our next house, so this time I took his request to heart. 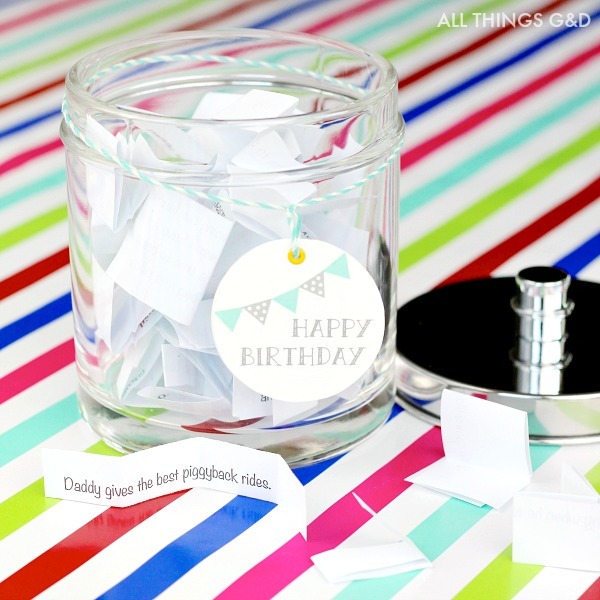 I knew he’d love something homemade and heartfelt, so Kate and I made him a birthday jar! 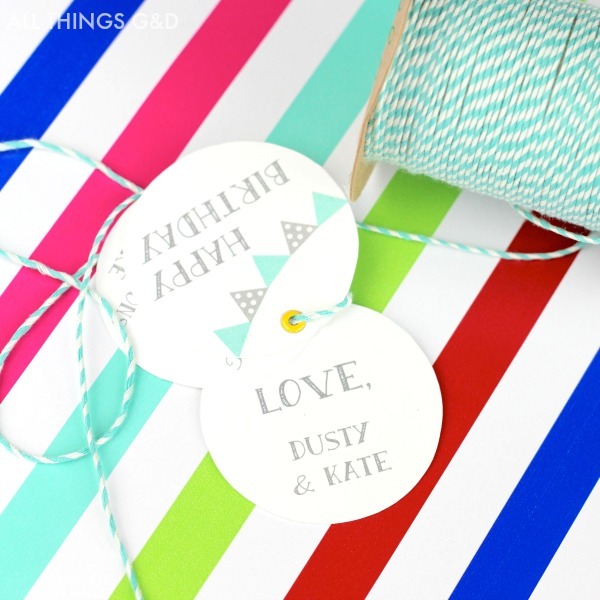 To make, Kate and I created a list of things we love about her Daddy. I typed them up, printed, and cut each one out. 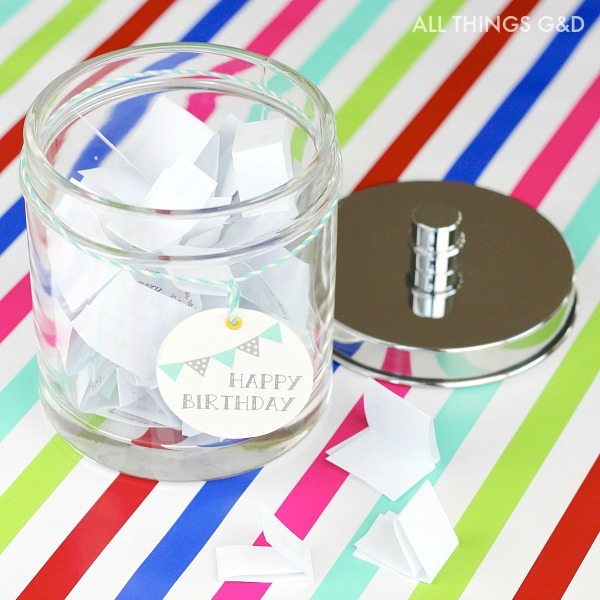 We then folded them up and put them in a glass jar – G’s birthday jar! 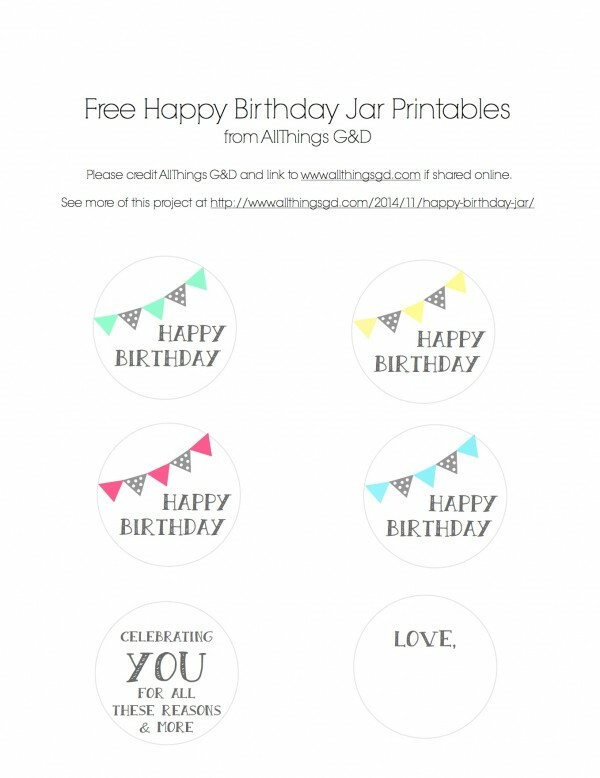 Want to make your own birthday jar for a loved one? 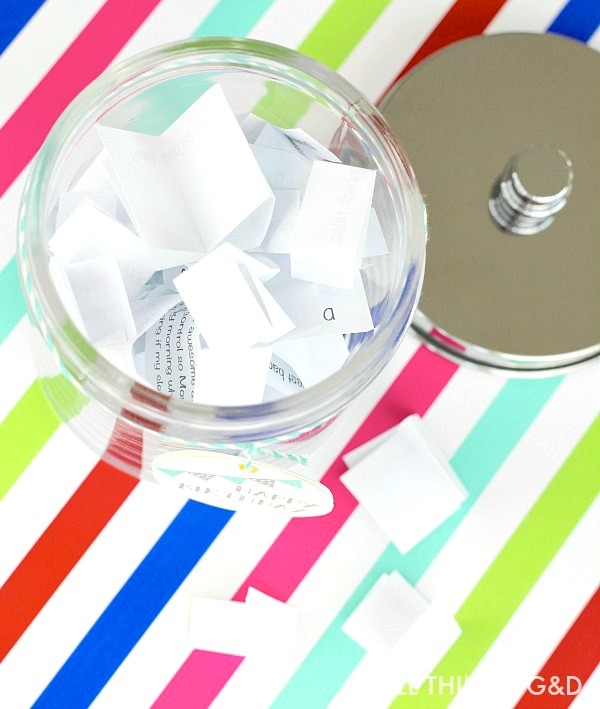 Save yourself some work and use my labels! Simply click on the image or link below to open a printable PDF document. 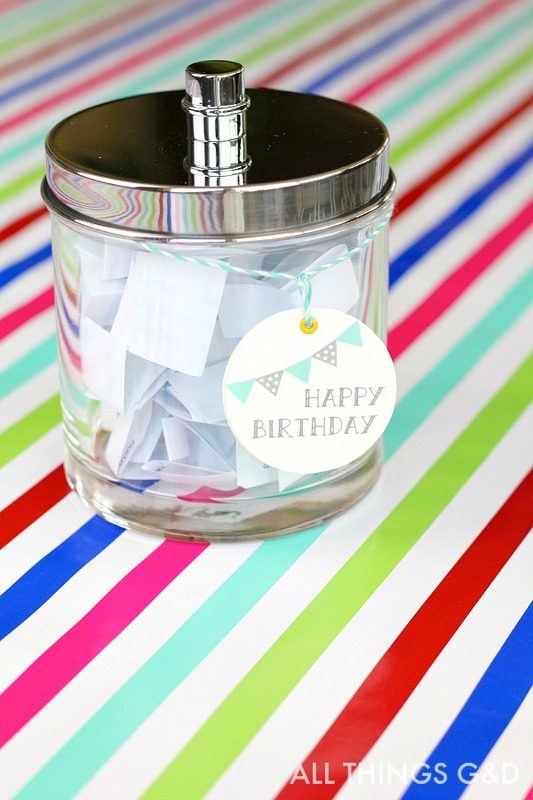 Our birthday jar was a win-win! 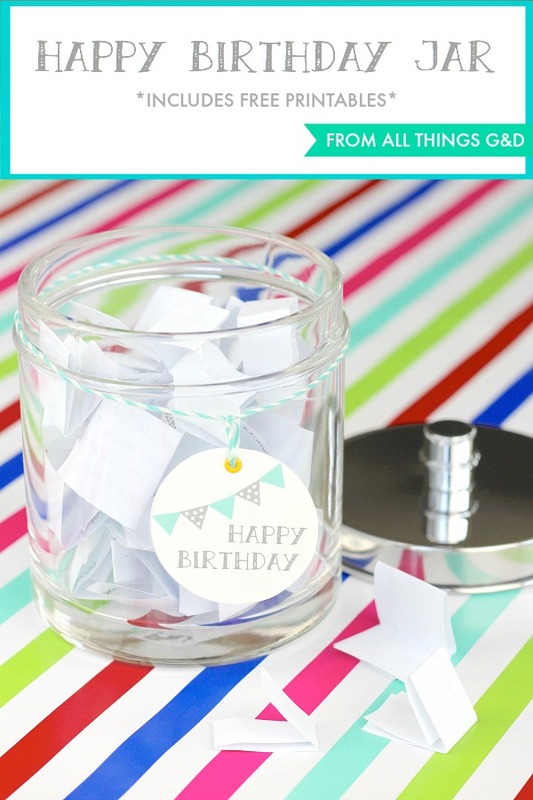 Kate and I loved having secret meetings coming up with our list of things we loved about our main man, and after we gave it to him on his birthday G said he loved it more than anything we would have spent money on. Like this project? 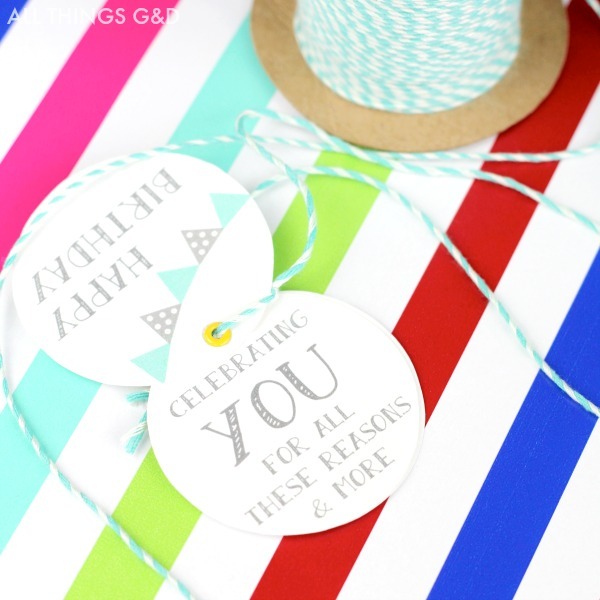 Check out the All Things G&D Gift Ideas Gallery!